Festival season is upon us. So I decided to take a typical everyday look and amp it up to keep you looking coachella ready this season. Today I am going to show you five ways to transform your typical look into festival ready magic. The answer to any problem? Glitter. Glitter solves everything. Pro tip - Try using glitter as a inner corner pop if you've never tried it and are afraid that you cant pull it off. For today's look I did my signature exaggerated lower liner ( exactly how I normally do ) and then took a glitter infused liquid liner in silver and ran it over top. The other fun thing I did for today's look was, taking a loose silver glitter and putting it right over top of my normal highlighter. This gives a ultra shiny shimmer cheek look, making it just that much more dramatic and Coachella-esque. White. Dots. 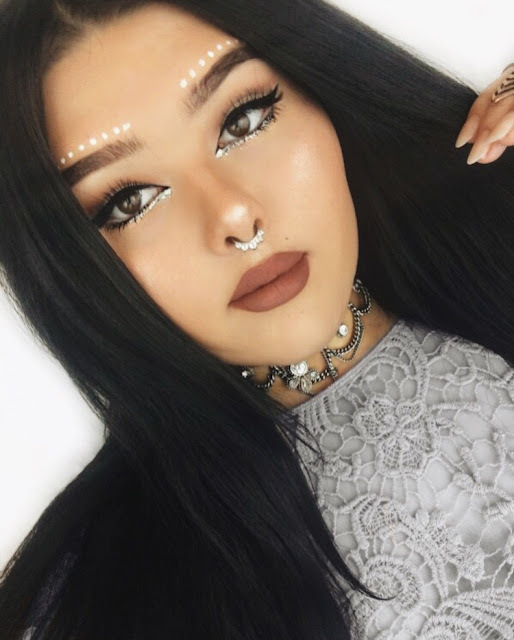 No festival look would be complete without some pointless white dots right? I decided to take those dots right over my eyebrows for this look. But you can put them literally anywhere on your face, ie that tribal photoshoot I did a couple months back. White. Dots. Everywhere. Something to remember about using white body paint is that it will smudge, I suggest using a very translucent powder ever so lightly over top to help set them. I don't think this would be a Coachella inspired look if I didn't have some statement piercing right? The good thing is that you don't have to commit to an actual piercing for one weekend of wear any more, because we have faux ones galore! I chose to do the fake septum look ( I leave a link below on where I get mine ) but you can do any faux piercing your heart desires. I personally also love the ear cuffs for a little something extra. I seriously think they amp up any festival look and are also great for summertime / beach events. 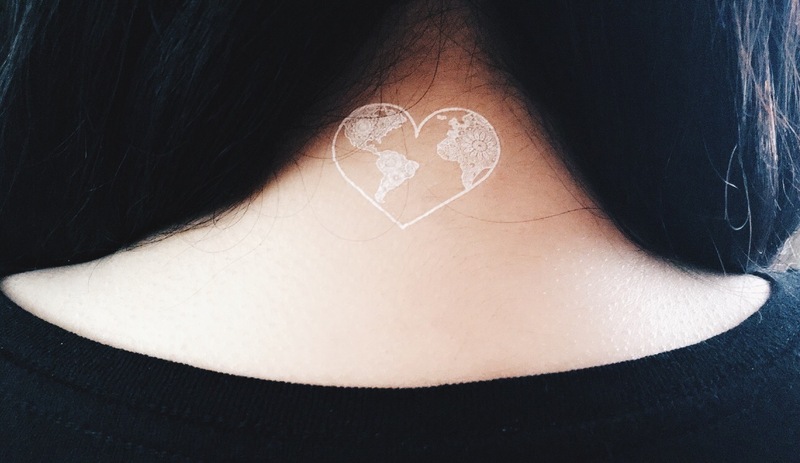 Below I pictured one that I recently put on the back of my neck and I am IN LOVE. These specific temps. are from Pure Tatts and they're so cute! Mine came in all white adorable beach and boho type of styles. These tattoos last for a few days and are removable with baby oil. Also if you want to be super creative you can mix and match these tattoos all over your hand for an easy henna look.